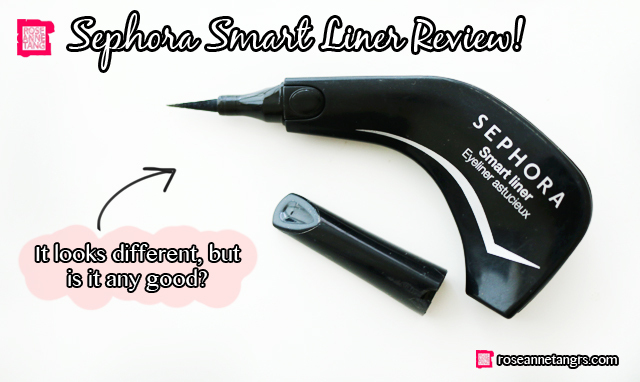 Review: Sephora Smart Liner Liquid Eyeliner! 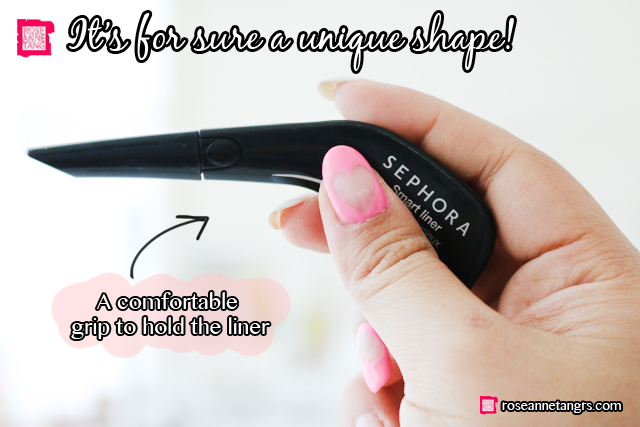 Today I just wanted to let you in on a pretty cool eyeliner find – the Sephora Smart Liner! Unlike your regular pen shapes, this one is bent and is supposed to follow the curve of your hand so that it feels like you have more control. I’ve basically finished mine and I reckon it would be perfect for beginners. Let’s find out more! 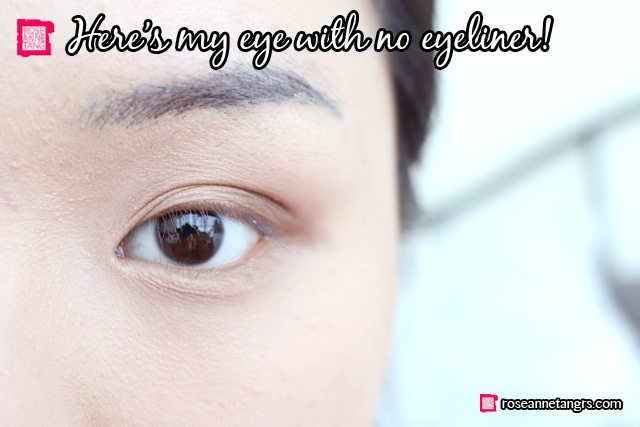 First of all, this is my eye without any eyeliner. I’ve added some eyeshadow because I don’t normally go out the house without any on. 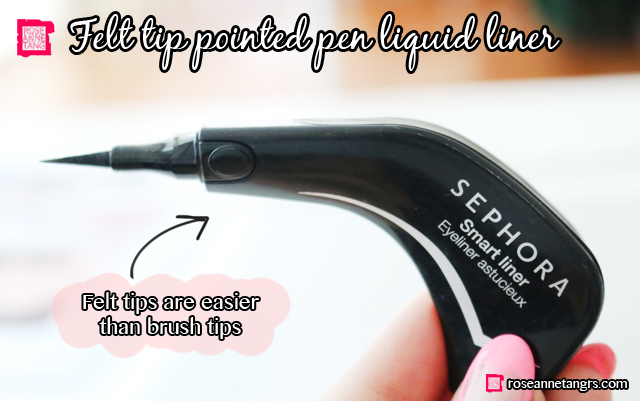 When you pop the cap open, the tip of the eyeliner is actually like a sharp felt tip marker. It in fact is very similar to the Stila Stay All Day Eyeliner. I’m glad it is because brush tips are not suitable for beginners because they can be harder to control whereas a felt tip is much more user friendly. 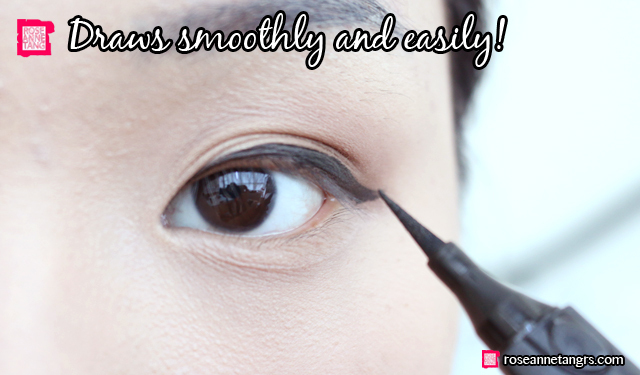 When you draw it on your eye, it draws nicely and smoothly. I like how it doesn’t drag on your skin either and I feel that the curved shape does allow for more control of where you’re adding the eyeliner. My only gripe is that the eyeliner tip does soften like the Stila one so over time, you may feel as if it doesn’t draw as thin a line as before. It is for sure black enough though and the finish you get is a subtle shine. Thankfully it’s not over the top like some other liquid liners. 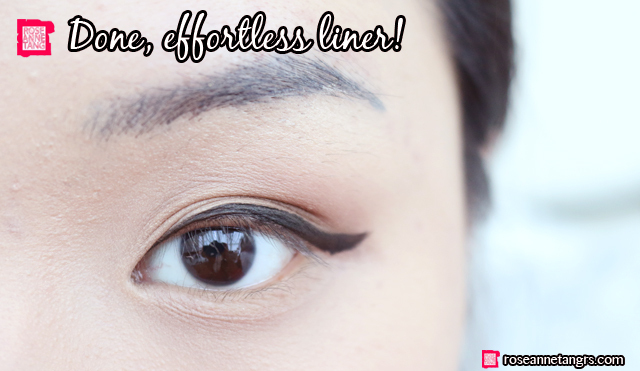 If you are just starting make-up, this is an affordable and easy to use liner. In terms of staying power, it’s average and I found it did not smudge on me at all. I do not have oily lids though so if you do, you should apply a bit of primer and eyeshadow first (even if it may be your skintone) to help absorb the oil throughout the day. Overall, a steady and affordable option worth looking into. It offers more control in drawing winged tips and the like because of its special shape. 5 Things I Saw at the Sephora Holiday Press Event 2014! Review: Dior Diorskin Star Liquid Foundation!